These luxurious One Bedroom Apartments have a private enclosed European balcony and a view over Geelong CBD. The apartment is well appointed with contemporary furnishings, queen bed, open plan living/ dining/ European styled kitchen with espresso machine, oven & dishwasher, washing machine, dryer, iron and ironing board, 42” LCD TV in living area and LCD TV in bedroom, integrated stereo system/ DVD, Foxtel, FREE WiFi, FREE local calls and beautifully appointed bathroom. 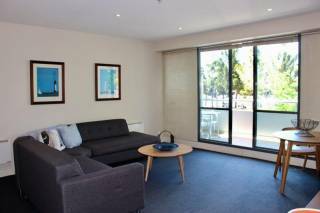 These luxurious One Bedroom Apartments have a private terrace/ Juliet balcony and a view over Austin Park & Corio Bay. The apartment is well appointed with contemporary furnishings, a queen bed, open plan living/ dining/ European styled kitchen with espresso machine, oven & dishwasher, washing machine, dryer, iron and ironing board, 42” LCD TV in living area and LCD TV in bedroom, integrated stereo system/ DVD, Foxtel, FREE WiFi, FREE local calls and beautifully appointed bathroom. These luxurious One Bedroom Apartments have a private enclosed European balcony and a view over Geelong CBD. The apartment is well appointed with contemporary furnishings, queen bed & bunks, open plan living/ dining/ European styled kitchen with espresso machine, oven & dishwasher, washing machine, dryer, iron and ironing board, 42” LCD TV in living area and LCD TV in bedroom,, integrated stereo system/ DVD, Foxtel, FREE WiFi, FREE local calls and beautifully appointed bathroom. These luxurious Two Bedroom Apartments have a private enclosed European balcony and a view over Geelong CBD. The apartment is well appointed with contemporary furnishings, 2 queen beds, open plan living/ dining/ European styled kitchen with espresso machine, oven & dishwasher, washing machine, dryer, iron and ironing board, 42" LCD TV in living area and LCD TV in master bedroom, integrated stereo system/ DVD, Foxtel, FREE WiFi, FREE local calls and beautifully appointed bathroom. These luxurious Two Bedroom Apartments have a private terrace/ Juliet balcony and excellent view over Austin Park & Corio Bay. The Apartment is well appointed with contemporary furnishings, 1 king and 1 queen bed, open plan living/ dining/ European styled kitchen with espresso machine, oven & dishwasher, washing machine, dryer, iron and ironing board, 42" LCD TV in living area and LCD TV in master bedroom, integrated stereo system/ DVD, Foxtel, FREE WiFi, FREE local calls and beautifully appointed bathroom. These luxurious Two Bedroom Deluxe's have a private terrace and divine views over Austin Park & Corio Bay. The apartment is well appointed with contemporary furnishings, 1 king and 1 queen bed, open plan living/ dining/ European styled kitchen with espresso machine, oven & dishwasher, washing machine, dryer, iron and ironing board, 42" LCD TV in living area and LCD TV in master bedroom, integrated stereo system/ DVD, Foxtel, FREE WiFi, FREE local calls and beautifully appointed bathroom with a spa. These luxurious Studio Apartments have a view over Geelong CBD. 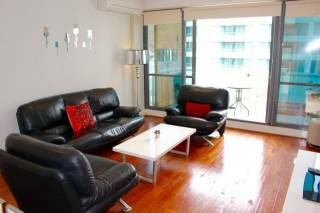 The apartment is well appointed with contemporary furnishings, king bed or two singles (upon request) , open plan living/ European styled kitchenette with microwave, washing machine, dryer, iron & ironing board, 42” LCD TV, integrated stereo system/ DVD, Foxtel, FREE WiFi, FREE local calls and beautifully appointed bathroom. 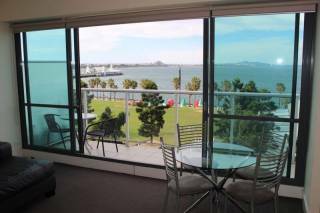 These luxurious One Bedroom Apartments have a private terrace/ Juliet balcony and a view over Austin Park and Corio Bay. The apartment is well appointed with contemporary furnishings, a queen bed, open plan living/ dining/ European styled kitchen with espresso machine, oven & dishwasher, washing machine, dryer, iron and ironing board, 42” LCD TV in living area and LCD TV in bedroom, integrated stereo system/ DVD, Foxtel, FREE WiFi, FREE local calls and beautifully appointed bathroom. Vue Apartments consist of 60 brand new serviced apartments providing luxurious studio, one and two bedroom options. The location offers excellent views over Eastern Beach and Austin Park, while affording privacy and exclusion from high density traffic. 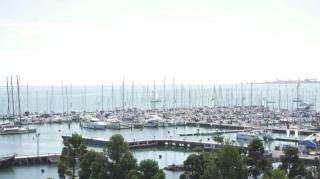 Vue is ideally situated close to Westfield Shopping Centre, Royal Geelong Yacht Club, Geelong's finest waterfront restaurants and cafe's, public transport, universities and various cultural attractions, making it ideal for business and holiday stays. Our aim at Vue is to provide luxury accommodation and a contemporary and sustainable development for this prime location. With its strong design appeal, choice of materials and an artistic emphasis to engage the community of Geelong, we hope to set a new benchmark for transformation of future developments within the city. Vue has been designed to reflect an excellence in contemporary design, whilst applying energy efficient appliances and utilities. Open plan living/dining/kitchen, and double glazed windows with high ceilings add to enhance the functionality and quality of interiors. The European styled kitchens are well appointed with fully integrated appliances to maintain a streamlined appearance, whilst glass splashbacks and low energy LED lighting further add to the sustainability and European elegance. 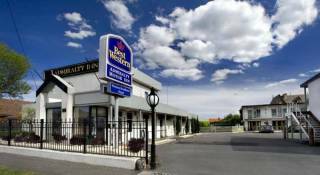 Full payment of the accommodation is required when booking. Vue Apartments accepts the following credit cards - Mastercard, Visa and AMEX (a 3.3% surcharge applies to AMEX). Prices/ quotations are subject to change without notice and will not be guaranteed until payment has been processed and you have received formal confirmation of your booking from us via email, SMS or letter. A dynamic pricing structure is in operation, tariffs change regularly according to occupancy. If a lower tariff is listed than previously booked we unfortunately cannot amend the tariffs charged after a booking confirmation has been issued. When planning your stay, please be aware that our check-in time is from 2:00 pm and the check out time on your day of departure is 10:00 am. Should you require times earlier or later, they are subject to availability and may incur an additional day use charge. Full payment of your accommodation is to be paid upon booking. In the event of your plans being changed, more than 60 days notice will receive a full credit, less a service charge of $50. If less than 60 days notice of cancellation is received your full deposit is forfeited unless the room can be rebooked, in this instance a partial refund will be available. In the event of your plans being changed, more than 48 hours notice will receive a full credit, less a service charge of $50. If less than 48 hours notice of cancellation is received your full deposit is forfeited. No Cancellations or Refunds, Dates can be changed within validity period subject to availability.